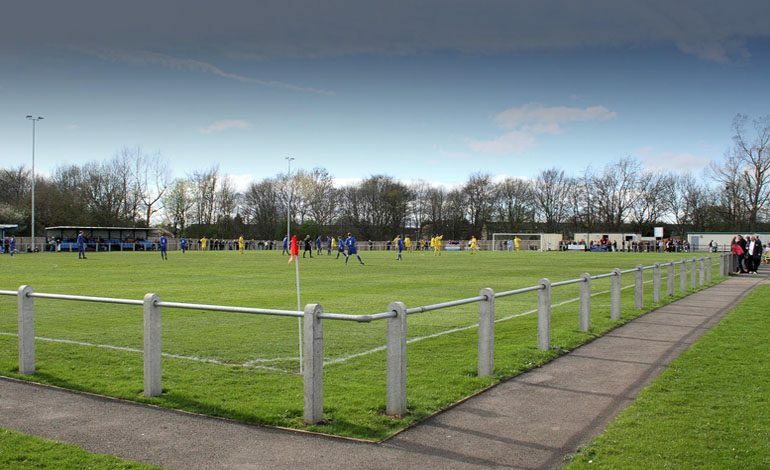 Newton Aycliffe suffered a 2-1 defeat at home to Newcastle Benfield in an end-to-end attacking game which had lots of chances for both sides, providing plenty of entertainment for the crowd. Benfield had an early chance, with Slaughter getting on the end of a corner and just putting the ball past the post. Aycliffe came straight back and Stu Thompson hit a shot past the post. James Winter made a good save on eight minutes. Brayson put a header over the bar a minute later. Then Ben Wood had a shot scrambled away by the Benfield defence. Vinny Gash had a shot pushed out by Benfield keeper Nimmins, but the defence cleared the loose ball. Aycliffe man-of-the match Josh Rodgers was dominant in defence. There was a long stoppage on the quarter hour when Tom Gavin was stretchered off following a bad tackle. From the restart both sides continued their attacking intentions and exchanged chances. Winter pulled off a remarkable save from Knight, followed by Ben Wood and Knight both firing shots over the bar. Benfield broke the deadline three minutes before the break when veteran Benfield striker Brayson curled a shot past Winter into the top corner. Benfield had the better of the first half, but Aycliffe were to have the better of the second, fashioning some good moves. Wood and Gash both got shots away but didn’t trouble Nimmins. The pressure told on 67 minutes. James Rowe’s perfectly flighted free kick was headed down by Marc Costello, and Gash made no mistake from six yards out. Nimmins then made a fine save from Gash, pushing his shot into the post, and Benfield somehow scrambled the loose ball away. Costello made a fine run on 75 minutes, beating four men, but Nimmins was equal to the shot. Benfield got a second goal three minutes later, against the run of play. A cross found its way through to Brayson who slotted past Winter. Aycliffe pushed for an equaliser and Wood put a volley just wide at the death, but Benfield hung on for the win. Aycliffe’s next game is away to Guisborough on Saturday (November 24, 3pm kick-off).